A Kestrel (probably a female because of its large size) hovered over the railway tracks and Dolphin Road. An adult Fox ran across the road into the front garden of number 20 Corbyn Crescent just before midnight. Some of the weed in the overgrown pond was cleared. 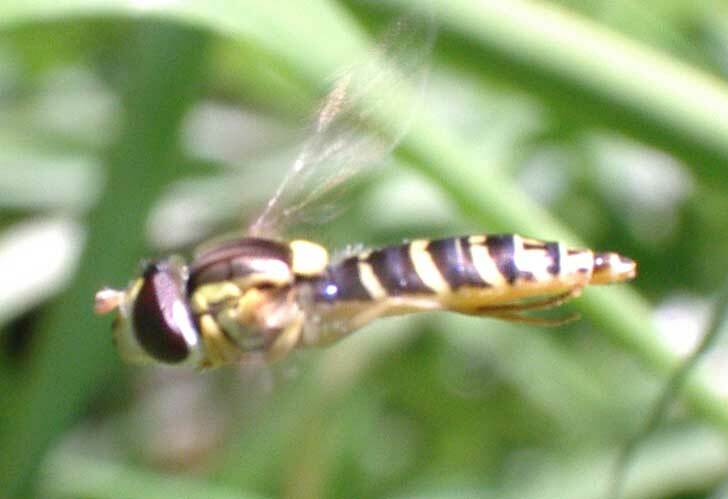 The 10-spined Sticklebacks were thriving with six seen immediately, but there were no signs of the Backswimmer Water Boatmen. I arrived home in Corbyn Crescent, Shoreham, just before dusk to find a Speckled Bush Cricket, Leptophyes punctatissima, on my front door, literally. A half a dozen fresh Shaggy Parasol Mushrooms, Macrolepiota rhacodes, were growing amongst a pile of leaves in the twitten between Corbyn Crescent and Adelaide Square, Shoreham, on the edge of the Middle Road allotments. 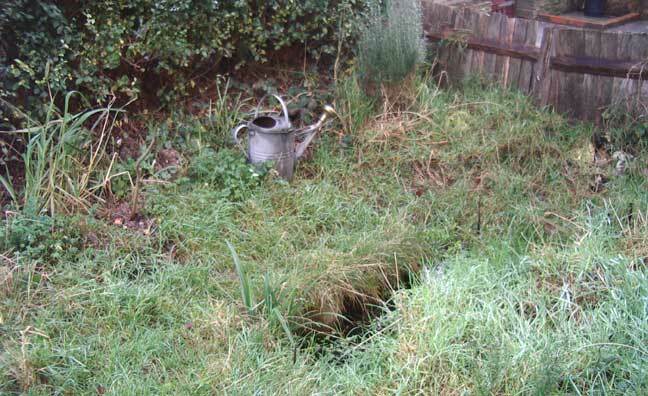 The pond is overgrown and the garden is wild and untidy. 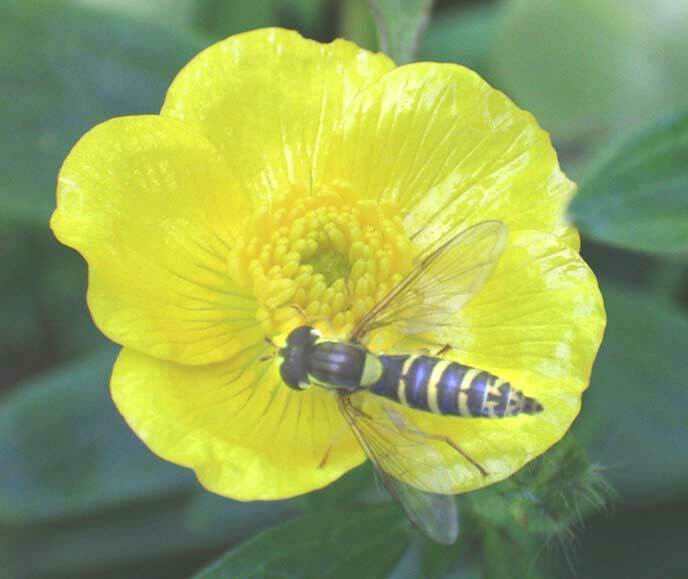 The Water Mint was flowering in my front garden and two of the small pyralid Pyrausta aurata moth were flitting around. A Red Admiral, Large White Butterfly and a Holly Blue greeted me as I opened my front door. The Gypsywort is in flower. A Small White, a Red Admiral and a Gatekeeper Butterfly were seen immediately I opened my front door in the morning in Corbyn Crescent, Shoreham. 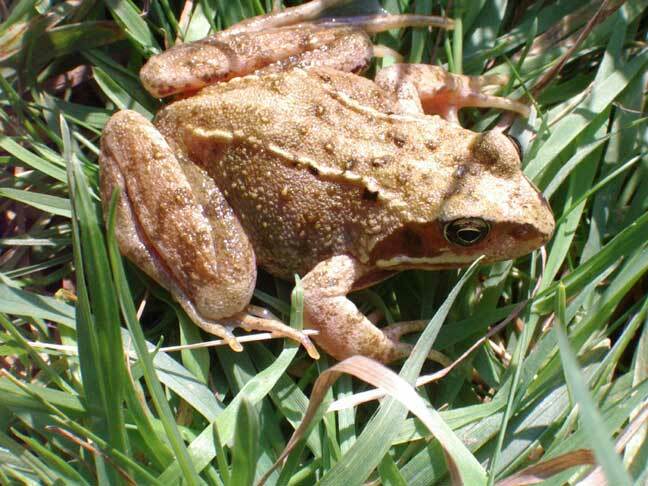 There were adult Common Frogs and Froglets in my very small pond in my front garden in Corbyn Crescent, Shoreham. 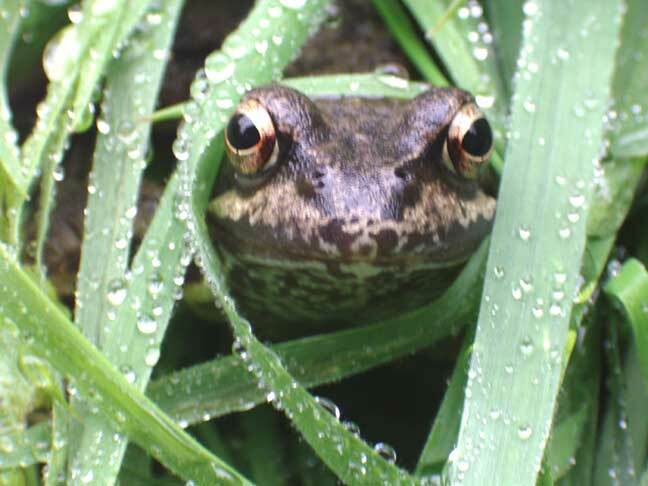 The froglets could have hatched from about twenty tadpoles introduced in each of the last two years, or they could have migrated from other garden ponds? 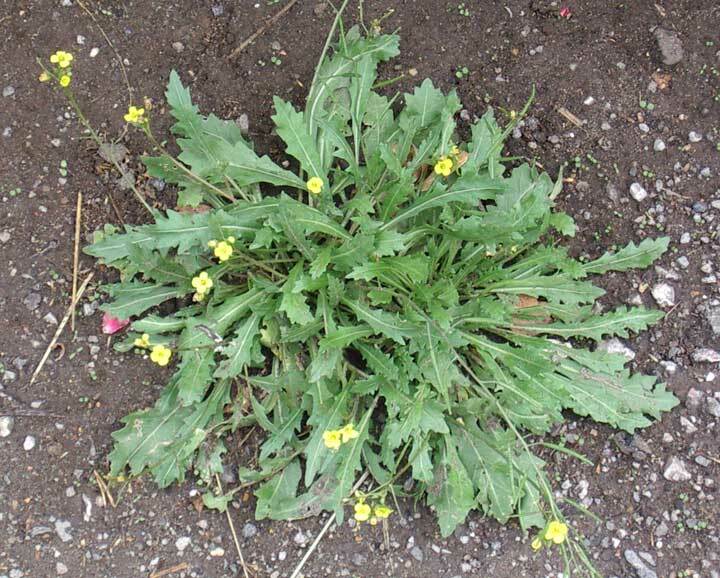 Wall Rocket was growing through the pavement in Corbyn Crescent. A Marbled White Butterfly in Corbyn Crescent, in the residential area of Shoreham was unprecedented, with a Gatekeeper in the twitten to Middle Road and a Green-veined White as well. There was a Meadow Brown Butterfly in my front garden. There was a Green-veined White Butterfly in my front garden. A Red Admiral Butterfly fluttered over the road outside my front garden. The 1.5 metre high Teasel and a slightly smaller one were blown over in a breeze after a heatwave dry spell. A small Frog was seen in the ovegorown pond. This dimunitive wild flower was growing from underneath the Privet, but taller plants have been seen in other unkept gardens. 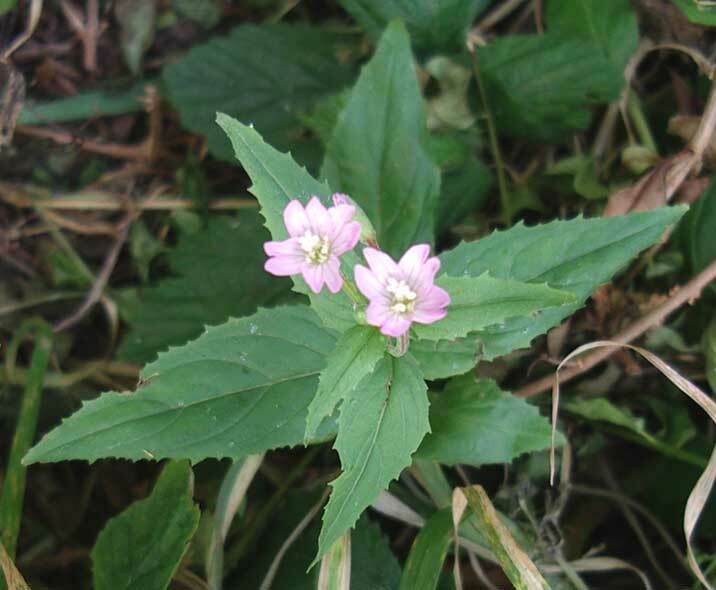 This the Broad-leaved Willowherb, Epilobium montanum. A "woolly bear" caterpillar of the Garden Tiger Moth was seen in my Shoreham garden. No visits to butterfly loctions during the overcast day. Backswimmer Water Boatmen were still in the pond. 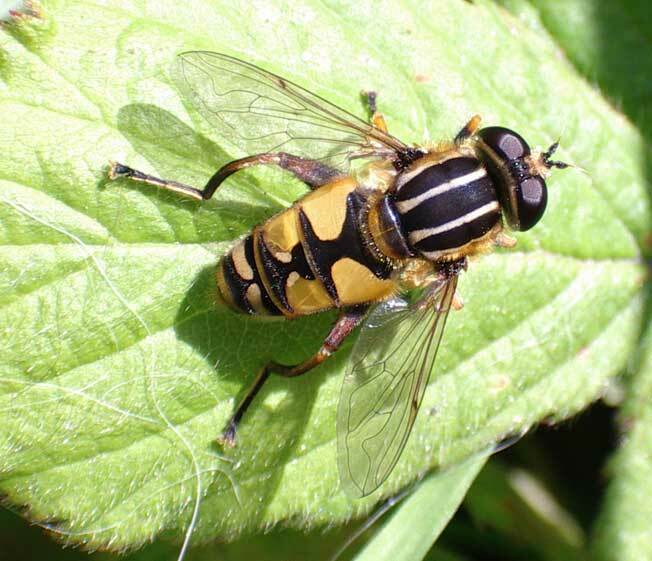 This hoverfly Helophilus pendulus buzzes like a blow-fly and could be mistaken for a wasp so I doubt it it is high on the general popularity stakes. 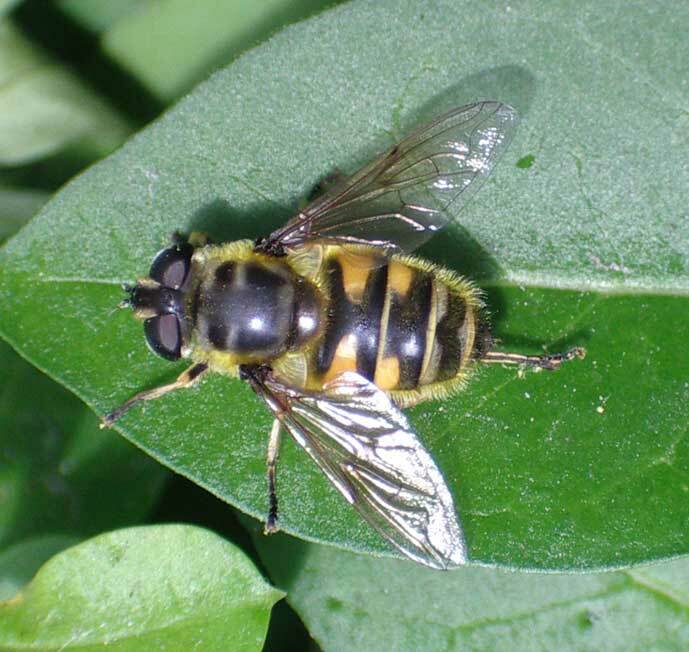 It hovered around my garden pond in Corbyn Crescent, Shoreham. 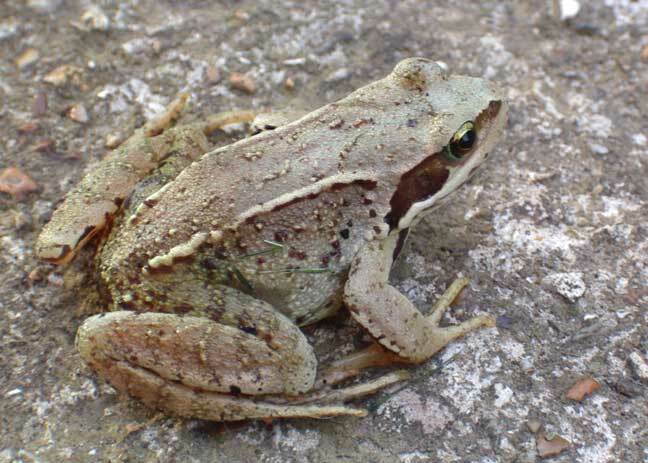 Sonia found another small (estimated 45 mm long) Common Frog in the back garden that was transfered to the front. 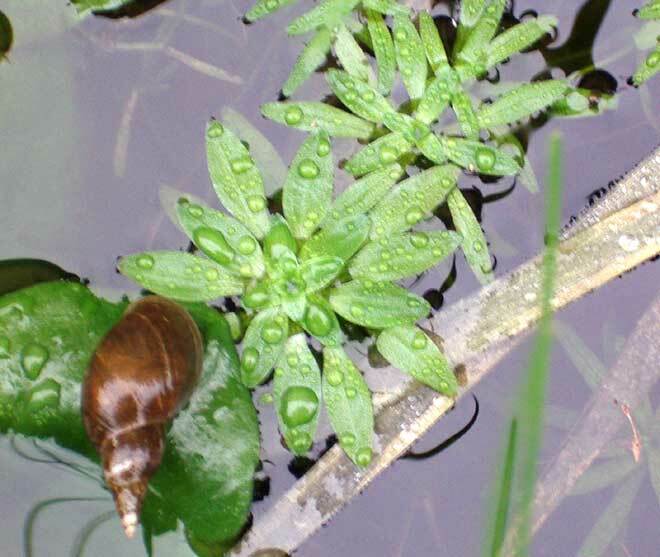 One frog tadpole, without legs, and three 10-spined Sticklebacks were seen in the front garden small overgown pond in an overgrown garden. 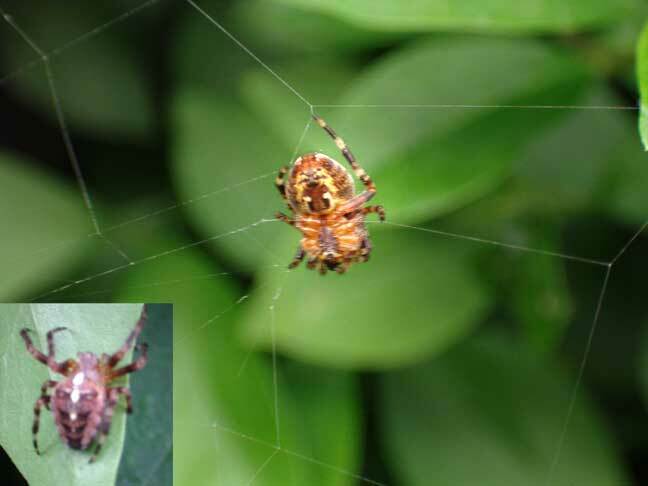 There was a small web spinning spider on the road side of the Privet hedge in my front garden in Corbyn Crescent, Shoreham. I assume this is a small and therefore a young Araneus diadematus. 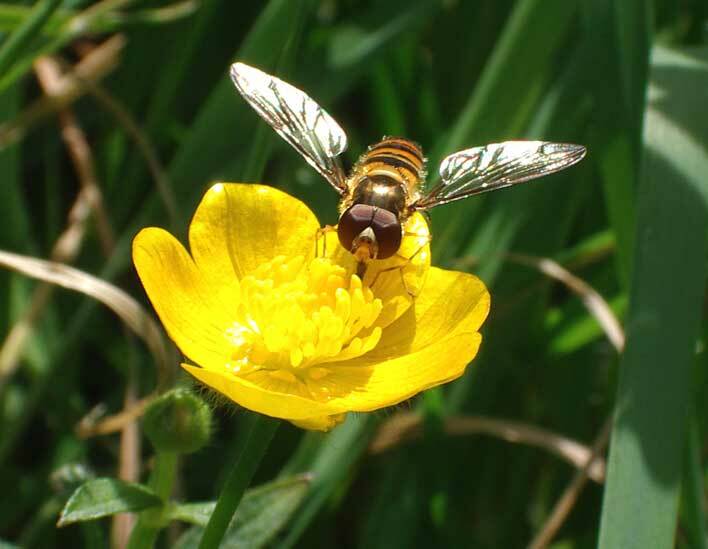 Marmalade Hoverflies, Episyrphus balteatus, are too prevalent to make a mention on the Nature Notes, but in this case I caught it landing on a Bulbous Buttercup. The very small day flying moth Pyrausta aurata is a common species near garden ponds and oner fluttered around the long grasses. The most unexpected and surprising discovery of my day was a slightly faded, but intact, Red Admiral Butterfly in the twitten between Adelaide Square and Corbyn Crescent, Shoreham. Both Large White and Small White Butterflies flew over Middle Road Allotments next to the twitten. A Holly Blue Butterfly and a Small White Butterfly were seen in Corbyn Crescent, Shoreham as the sun came out briefly. Three different domestic cats have been stalking out my front garden pond.One cat made an unsuccessful ambush on the birds, Starlings and House Sparrows, in the back garden. A Starling is still going in the ventilation flap on the upper floor next door at number 12. 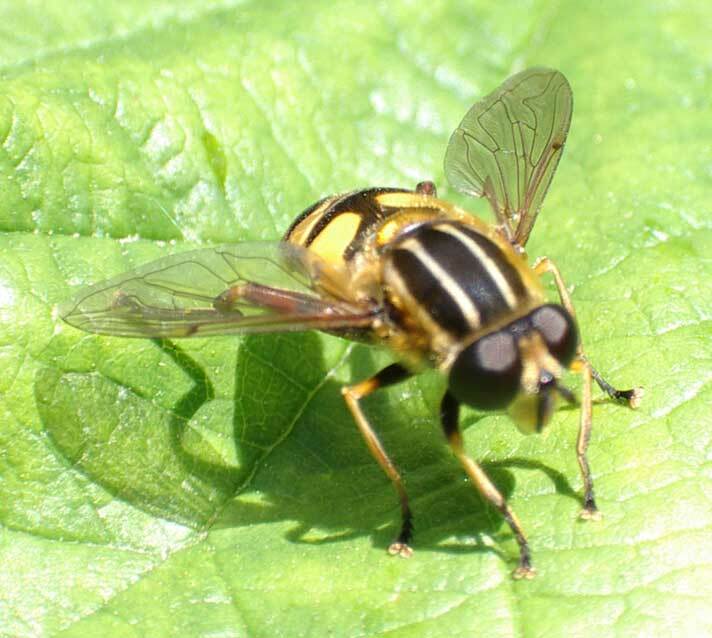 I think this is one of the prevalent Sphaerophoria species (possibly S. scripta) but I have not double-checked for close species (which is unlikely from a photograph). Unfortunately, the grass has got completely out of hand (for the lack of shears capable of cutting grass) and it has encroached and is choking the plants in the pond. The Common Frog does not seem to mind though and there is still only one. Wallpaper scissors were used to cut the encroaching grass (the idea was a grass overlap rather than an incursion). A Holly Blue Butterfly fluttered around the Privet. 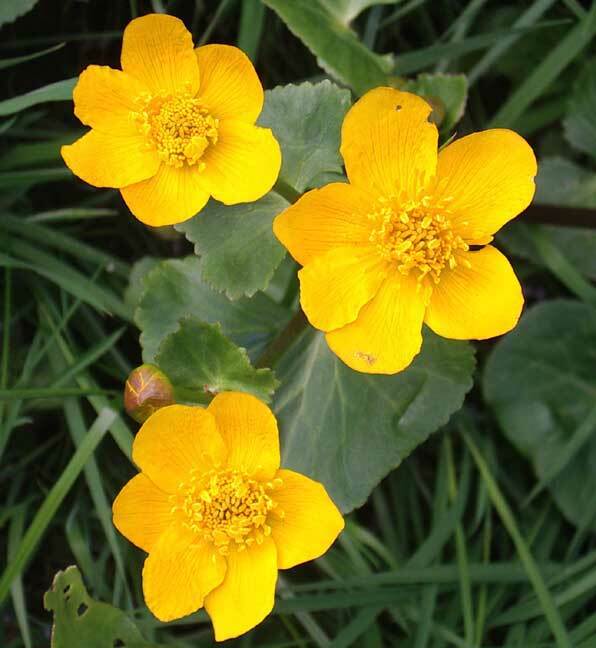 Marsh Marigolds were flowering for the first time on the pond shallows. In the bog garden the leaves were larger and they had not shown any signs of flowering. Grasses are spreading into the pond. They could threaten to swamp the shallows of the pond entirely. Water Mint is growing from the deeper sections, not in the shallow ends where it was originally planted. NB: the shears are not sharp enough to cut the grass. The first butterfly of the year recorded in the garden was a flighty Small White in breezy conditions. A couple of Great Black-backed Gulls perched on top of the warehouse immediately south of Adelaide Crescent and east of Corbyn Crescent. A young healthy Fox in the Middle Road allotments (next to the twitten between Corbyn Crescent and Adelaide Square, Shoreham) at 8:30 pm is hardly a newsworthy news item. A superbly colourful Redstart landed on the rotary clothes line in the back garden of 14 Corbyn Crescent (TQ 224 055), Shoreham town, where there is a bird table and flocks of House Sparrows. Redstarts are summer immigrants. This is my first record of this bird in the town. 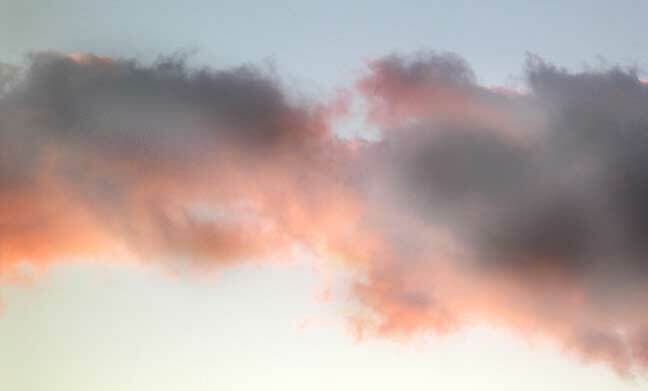 The photograph (on the left) shot through a murky window at long distance is poor and for ID purposes only. A "Woolly Bear" Tiger Moth caterpillar was in my garden. 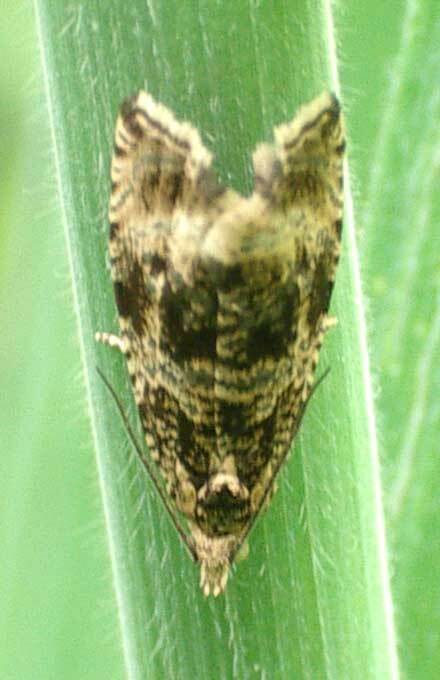 Another larva of the a Lesser Yellow Underwing Moth, Noctua, was discovered underneath the watering can in my front garden in Corbyn Crescent (TQ 224 055). The lonely red coloured Common Frog was still basking on top of the pond shallows and weed that covered so much of the surface that the Water Soldier plant that sinks in winter will not have any open water to rise to. 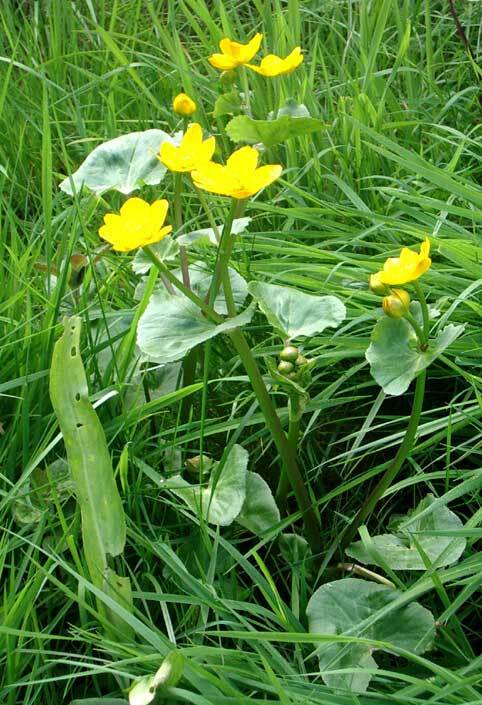 The leaves of the Marsh Marigolds were large. Planted in late spring last year, they have not flowered in this pond yet, and some plants were growing in the damp margins, with the leaves of Teasel. The Frog spawn has disintegrated and the water has gone very slightly milky. There is no sign yet of the miniature tadpoles. There is vegetation and larger leaves appearing from the deeper water. The spawn quickly attracted the attention of predatory Backswimmer Water Boatmen and at least one 10-spined Stickleback. 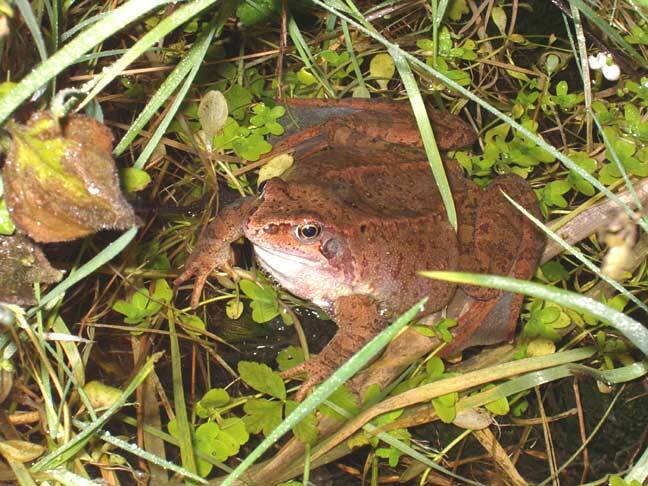 A small brown Common Frog is spotted in the pond after dark. It submerged when disturbed. It appeared only half the size of an adult. I did not have a proper chance to measure it, but it was about 60 mm long. How fast do frogs grow? It could be a frog born last year, but possibly a frog that had lived through two winters? Frogs become sexually mature in their third year. 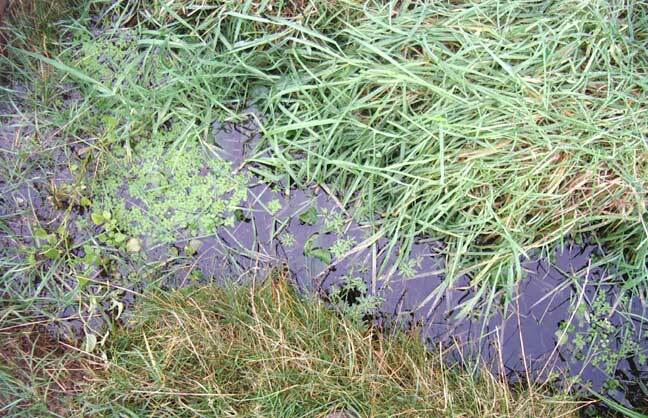 There is a lot of grass that has spread and appears to be growing in the small pond shallows. 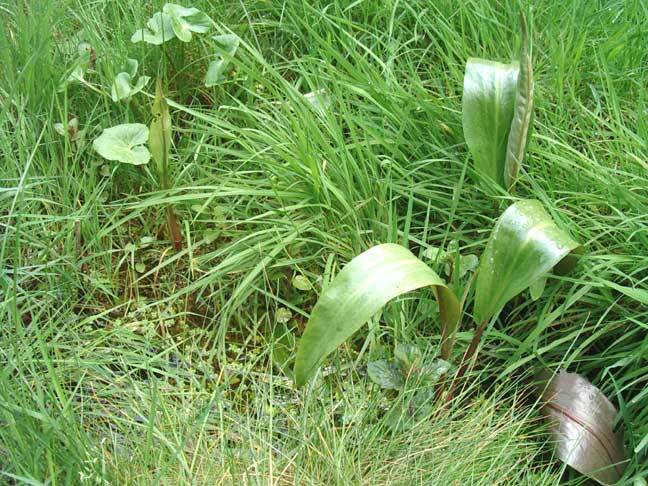 Vegetation growing in the pond covered most of the water surface. The only tiny areas of open water were in the deeper central area. The Common Frog portrait was taken at night using flash. 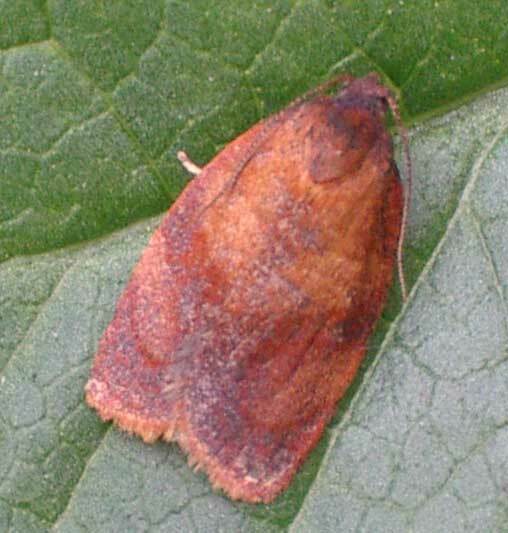 It seems a reddish-brown which is not a colour distortion by the flash gun. A few other frogs have been seen to be on the reddish side, but not quite as much as this male croaker. 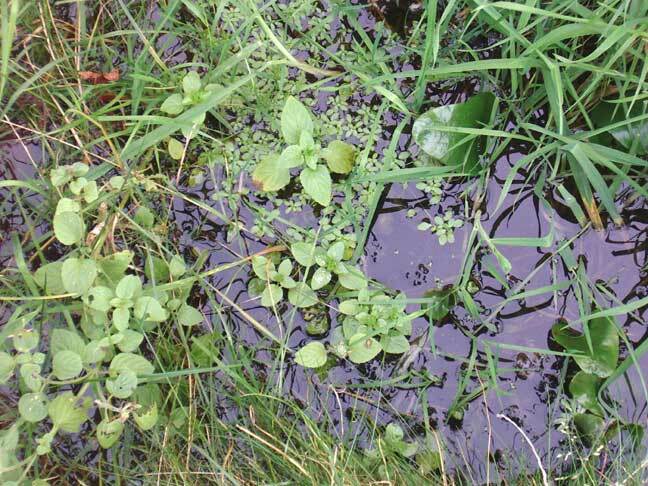 The frog was sitting on top of the weeds, but would submerge underwater if poked. A Magpie was on top of the roof next door, at number 16. No sign of snow in Shoreham town but looking out of my window, there was a thin layer of snow on the downs above Shoreham. This snow was only on the high ground north of the A27 By-pass, and the pastures from Slonk Hill westwards to Mill Hill were green. The ice in my garden pond was 3 mm thick with just a small amount of open water at the edges of the pond. Snow! Although it appeared more like horizontal sleet at first from the east, it actually begins to lay first on the pavements and roads and then on the grass. Although, only a thin layer, this is the first proper snow of the winter. 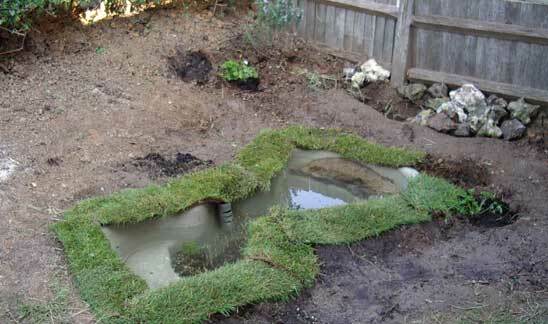 The water in my small garden pond was not frozen, although the surface seemed it was only a fraction above the melting point of water. I measured it a 4.4 ºC. 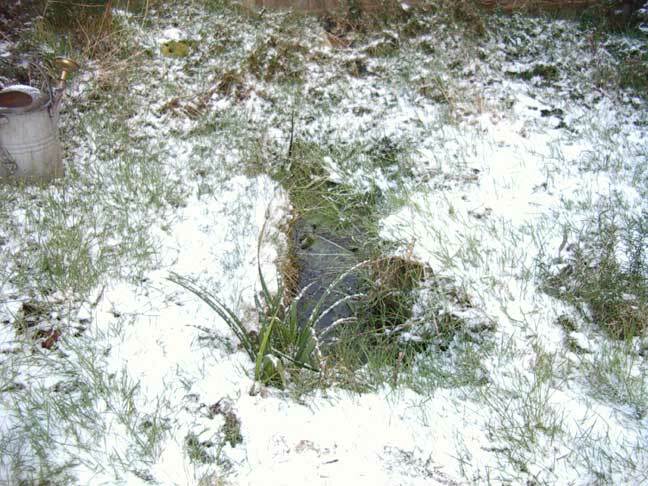 The pond with the thin sprinkling of snow, which because of the garden's north facing position was greater than anywhere else in Shoreham. By midday the wind had reduced and it was more like snow than sleet. Unfortunately, a look at the downs from out of my window and no snow seems to have settled. A thin layer of ice floated on the surface of my garden pond in Corbyn Crescent (TQ 224 055) for the first time ever as the air temperature fell below freezing for the first time this winter, recorded at -0.2 ºC just before 7:00 am. The ice thinned during the day, and had disappeared by the following day. 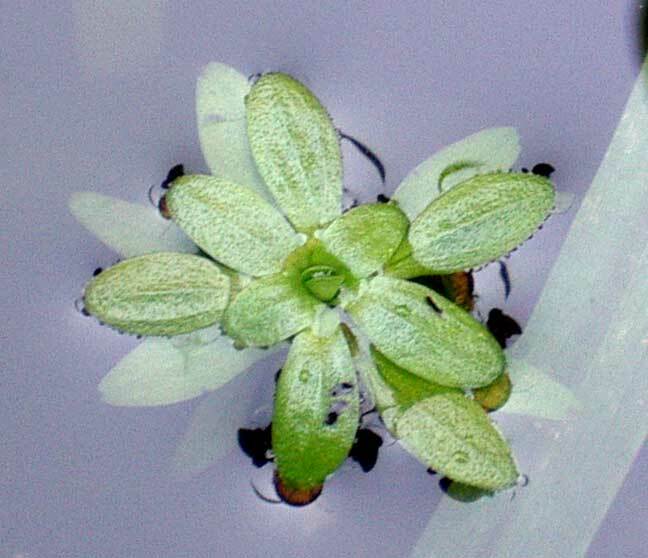 I think the plant is one of the Water Starworts, Callitriche. It has only reached the surface of the pond with its rosette on the water surface in the late autumn for the winter greenery.These plants in the central area of the pond are probably of local provenance. This looks like a different species of pond plant on the surface of the pond.The rosette looks similar to the Water Starwort above but the leaves are less pointed. This plant was in shallower water.